AMMONNEWS - Palestinian president Mahmud Abbas’s office said Wednesday Jerusalem is “not for sale” after US President Donald Trump threatened to cut annual aid of more than $300 million to force them to the negotiating table. “Jerusalem is the eternal capital of the state of Palestine and it is not for sale for gold or billions,” Abbas spokesman Nabil Abu Rudeina told AFP, referring to Trump’s recognition of Jerusalem as Israel’s capital. 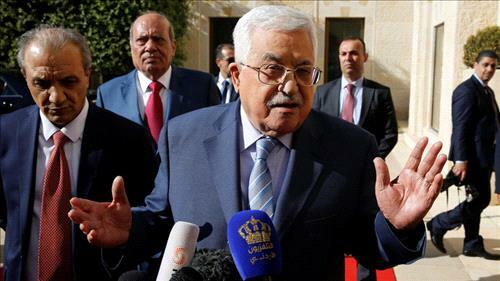 The December 6 declaration led Abbas to say the United States could no longer play any role in the Middle East peace process. “We are not against going back to negotiations, but (these should be) based on international laws and resolutions that have recognized an independent Palestinian state with east Jerusalem as its capital,” Abu Rudeina said. The United States has long provided the Palestinian Authority with much-needed budgetary support and security assistance, as well as an additional $304 million for UN programs in the West Bank and Gaza. Such programs are seen by many analysts, including Israelis, as helping maintain stability in the Palestinian territories. Israelis see the whole of Jerusalem as their undivided capital.